Pumpkin pancakes in the oven - amazingly delicious! What to cook from a tavern in the season? Probably the most common response - squash fritters. Of course, here the mass variations:. With cheese and herbs, with cheese, with different kinds of flour, potatoes, and so I want to offer you to cook squash fritters in the oven. В чем преимущество данного способа? Прежде всего в том, что вам не нужно строго рассчитывать количество муки, а точнее сказать – ее можно положить по минимуму. На сковородке такой «номер» обычно не проходит: положишь мало муки – оладьи могут разваливаться, не отставать от сковороды и пр., придется спасаться либо большим количеством масла, либо добавлять много яиц для лучшей «клейкости» теста. Выпекая в духовке, вы можете приготовить кабачковые оладьи без муки в принципе (только учтите, что консистенция будет очень нежной, и в любом случае лучше дождаться полного их остывания, чтобы оладушки хорошо «схватились»). The second is a definite plus - this form. Although, of course, you can bake the squash fritters in the usual form of the oven on a special silicone mat (pouring batter on the mat, as usual, with a spoon). But I prefer to do them in the form of muffins in tins for tex. Ideal for a snack: comfortable there, holding in his hand and take with you. And these pancakes, muffins, you can take a picnic or cook to the table, if the planned reception :) - with different toppings is just the bomb (I recommend cheese terrineSauce of sour cream and herbs, riyet salmon, Well, and "unfold" gently gently squash fritters with cream cheese a la PhiladelphiaPrepared at home). salt and spices - to taste. *You can use wholegrain or white flour (to your taste), as well as oat / rice / chickpeas / from emmer. Alternatively, you can substitute oat flour and wheat bran (50: 50). **Если псиллиума нет, заменять его ничем не нужно. С ним можно значительно уменьшить количество используемой муки (удивительным образом впитывает «лишнюю» влагу теста), а также обогатить продукт растворимой клетчаткой. Подробнее о свойствах уникального продукта можете прочитать in my article. Zucchini wash (not necessarily young clean), rub on a small grater itself "into mush" (or shavings - at your discretion), or grind in a blender cup. Give a little stand, and then drain the juice. Add the egg, flour, psyllium (if any), salt and spices to taste. All mix well with a spoon. Yes, you can also chop the squash into the batter favorite herbs (cilantro, parsley, chives or dill). Spoon the pancakes on a special silicone mat or, as I sort through molds for muffins (the form also recommend silicone, so you can remove the squash muffins without problems) and put in a preheated 180 degree oven for 15-30 minutes (depends on baked pancakes on the mat or in the forms for muffins). Before removing from the mold, necessarily cool! Serve as recommended in the form of cooled down. That's how easy it is to cook squash fritters in the oven (and not to stand near the stove in the heat :) with a minimal amount of flour and no frying oil. 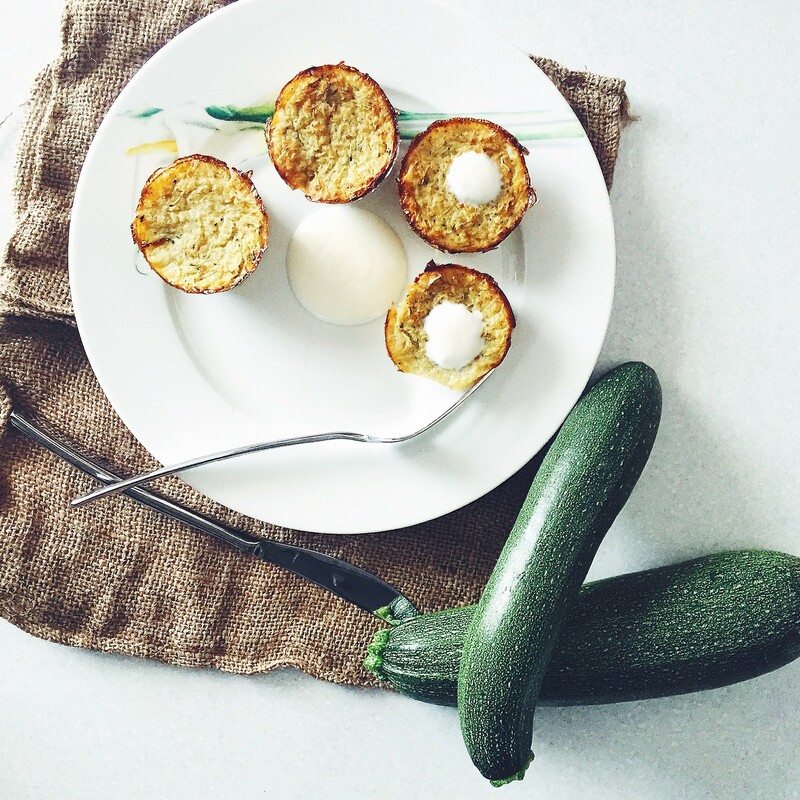 PS If your marrow harvest beats all records :), I offer an excellent cook lemon cupcake diet zucchini - You'll like it!